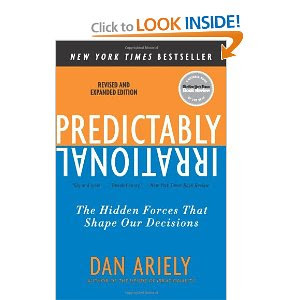 Dan Ariely is a behavioural economist who refutes the idea that we are fundamentally rational. Through empirical data, experiments and anecdotes, he illustrates that our irrationality can actually be predicted. He then presents ways in which we can make more rational decisions, both as investors and as people. The forecast for mining companies in 2012 is that they will make record profits. I'm often asked what I look for in a stock. The intention of this post is the answer that question. Lakeland Industries' (LAKE) stock price has been declining for almost two years now. But it is a consistently profitable firm that now trades at a discount to its net current assets. As this site has grown in reach over the last couple of years, the amount of reader feedback I have received has accelerated. Unquestionably, the articles that generate the most feedback are those related to particular securities (as opposed to a general article on investor behaviour...like this one). However, while the majority of sites stick to writing about stocks on which they are bullish, I also tend to write about stocks in which I'm not interested, in order to discuss the reasons that add to an investment's risk or subtract from its return. As a result, I've been in a position to observe some interesting reader behaviour. This week was a rough one for JAKKS Pacific (JAKK), the toy maker out of California. It issued a profit warning on its all-important Christmas quarter, as its toys haven't picked up traction among consumers. (In keeping with the standard corporate practice of blaming the economy for poor results though, management of course cited a "difficult retail sales environment for toys" as the only cause for the nearly 40% reduction in its estimate for holiday quarter sales.) The stock fell 20% in one day, and appears quite cheap relative to its cash flow. OfficeMax: Worth 75% Less Than It Was 1 Year Ago? One year ago, OfficeMax (OMX) reported quarterly operating income of $41 million, resulting in a market cap of around $1.5 billion. This year's third quarter was remarkably similar, with the office supplies distributor once again bringing in operating earnings of around $41 million. But today, the market cap sits at just $380 million, despite an improved balance sheet from last year! One of the most common questions I receive from readers is regarding the source of my stock ideas. I seem to always have a heap of potential value stocks on my to-do list, so perhaps I take it for granted that I come across so many ideas worthy of further study. So on the advice of some readers, this post is dedicated to describing and discussing my stock idea sources. On this site, countless examples have been discussed where company obligations that aren't on the balance sheet must be uncovered and included in order to achieve an accurate valuation. But on rare occasions, the exact opposite takes place: a balance sheet obligation should be removed from consideration in order to derive a more accurate valuation. Wage disparity between executives and workers has been on the increase for several decades. In 1982, the average CEO of large US firms made 42 times the wage of the average worker. By 2001, that number increased to a staggering 531 times *. Opponents of this disparity will argue that intervention is needed to force companies to have higher parity within their wage structures. Others argue that executives are worth every bit of their salaries or companies would not pay them. Shares of small-cap Champion Industries (CHMP) are dropping fast. The stock is down more than 60% from its April high and as a result it trades for a P/E of just over 3. The market has recently had a number of both euphoric "up" days and pessimistic "down" days, as strong volatility has persisted over the last few months. Whether the market has risen or fallen, however, one stock that has consistently dropped is that of Meade Instruments (MEAD). Meade was already cheap on an asset basis, but has then dropped some 40% since August. There is evidence to believe that insiders do beat the market. But how does one find out what insiders are up to? That's what this post is about. Adams Golf (ADGF) has been discussed a few times on this site. Usually this happens when it trades at a large discount to its net current assets, and when it subsequently appreciates. One long-term investor (and by today's standards, a three-year investment would be considered "long-term"), grew increasingly frustrated by the company's compensation practices, and managed to do something about it! G. Willi-Food (WILC) imports, manufactures and distributes hundreds of food items to supermarket chains and grocery stores. Recently, margins have fallen as food inflation has increased costs, while the company is hard-pressed to pass those costs on to customers. The stock price may have overreacted to this news, however, offering long-term investors a potential opportunity. Greenbackd had a great post on Imation last week. Imation has been discussed a few times on this site; it was once on the Stock Ideas page, and having undergone some price appreciation it found itself off that page and on the Value In Action page in February of this year. Since then, however, its price has fallen by some 50%, putting it in value territory once again. How Low Can Bidz Go? Just three months ago, Bidz.com was discussed on this site as a potential value investment, due to its 50% discount to its net assets. Since then, the stock has almost halved, giving the company about a 70% discount to its net current assets. Note that the company has no debt! While the real-estate bubble in the US burst a few years ago, in many countries around the world it never did. In countries like Canada, China and Australia, price levels along a number of metrics (compared to incomes, rent levels etc.) have now surpassed those of the US at its peak! The Economist has a great interactive tool that allows you to get a handle on just how bubblicious some housing markets are. Investor sentiment varies considerably between Whole Foods (WFM) and SuperValu (SVU), despite the fact that these two companies operate in the same (or similar) industry. This difference in sentiment is exemplified by the opinion of a one Jim Cramer, who notes that even though SuperValu has a substantially lower P/E, Whole Foods is actually the cheaper stock because of its lower PEG ratio. What's wrong with this surface analysis?